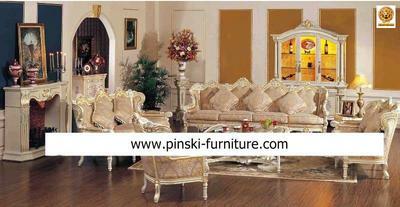 Pinski Furniture sofa set represents the Italian furniture culture. The solid oak furniture delivers antique wooden style. The leaf gilding technics and hand-made craftworks express the Baroque art of European classic.